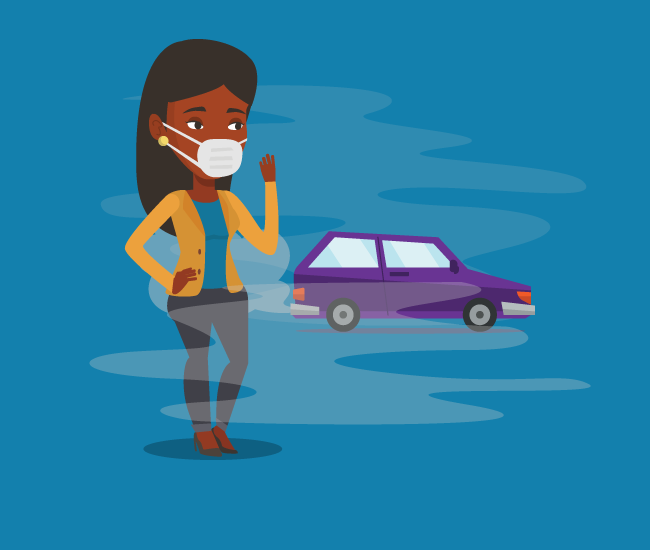 Carbon monoxide (CO) is an odorless, colorless, and tasteless gas that can lead to serious illness or death if inhaled in significant amounts, especially when encountered in concentrations above about 35 ppm. In the United States, unintentional non-fire related CO poisoning accounts for the death of more than 400 people each year. When daylight savings time begins and ends are good times to use to check and/or change the batteries in your CO and smoke detectors. Do this when changing the time on your clocks. It may also be a good time to check your smoke detectors as well. What can cause carbon monoxide in your home? How do you know if you have a carbon monoxide leak? Get a carbon monoxide detector. They’ve become as commonplace as smoke detectors, and are a good extra precaution. Do this in addition to having your appliances fitted and checked by an engineer. A good carbon monoxide detector should have an audible alarm that will wake you up. What do you do if your carbon monoxide detector goes off? DO NOT IGNORE IT. If you or others in your household are experiencing any symptoms of CO poisoning, call 911 immediately, get to a hospital ASAP. DO NOT RE-ENTER THE HOME until emergency services has indicated it is safe to return. If no one is showing the signs or symptoms of CO poisoning, open all windows to ventilate the house, turn off any running appliances. Reset CO detectors. If the CO detectors don’t make more sounds, call a qualified technician to inspect and repair any problems that may have lead to the presence of CO. If the alarm sounds a second time, and no one is showing signs of CO poisoning, continue ventilation of the home, and call the fire department. Carbon monoxide poisoning symptoms could include tiredness or drowsiness, headaches, nausea and dizziness, difficulty breathing, stomach pain, feeling or being sick. The symptoms, as you can see can be very similar to other common illnesses like flu or food poisoning. The longer you breathe in carbon monoxide, the worse your symptoms will become. Several severe symptoms can include confusion, loss of memory, personality changes and/or unusual behavior, elevated heart rate of more than 100 beats per minute, chest pain, seizures, and a loss of consciousness. Very high levels of carbon monoxide can kill within minutes. What to do to help prevent carbon monoxide poisoning. When you’re proactive about safety, there are a lot of things you can do to help prevent a possible carbon monoxide poisoning. Make sure that every appliance in your home is installed properly and is working correctly. Have your heating system, water heater, and any other gas, oil, or coal burning appliances serviced by a qualified technician. Have your furnace, chimneys and flues inspected and cleaned each year, and if you’re using a fireplace. make sure the flue is open. Never heat your home with a gas range or oven. Never burn charcoal indoors, or in any enclosed space such as an R.V. or camper. Never use kerosene or gas heaters indoors – these kick off carbon monoxide, and should only be used when outdoors. Never leave a gas-fueled tool or vehicle running inside a garage or tool shed, or anywhere indoors. Another note: if you get your car stuck in winter snow, when it is safe to do so, clear out the snow surrounding the bottom of your car as much as possible, to allow air to circulate and carbon monoxide to dissipate. Be sure that your stove and furnace vent outdoors and there are no leaks in the exhaust systems. Also make sure that your furnace takes in enough fresh air. Your list may include more things, but these should be the minimum. I do public relations for Briggs & Stratton, the leading manufacturer of generators. I send out the following portable generator safety tips ahead of hurricanes and during winter storm power outages so people don’t improperly use their generators. This includes the potential risk of carbon monoxide poisoning. 1. Always read and follow the operator’s manual and all operating instructions before running generator. 2. Engines emit deadly carbon monoxide gas. Use your generator outdoors only, away from open windows, vents, or doors. Never use your generator inside homes, garages, crawl spaces, or other enclosed areas. Fumes that can kill you can build up in these areas. Using a fan and opening doors or windows does NOT provide enough fresh air. 3. Use a battery-powered carbon monoxide detector when running your generator. 4. Gasoline and its vapors are extremely flammable, allow engine to cool at least 2 minutes before refueling. Always use fresh gas in your generator. If you do not plan to use your generator in 30 days, stabilize the gas with fuel stabilizer. 5. Maintain your generator according to the maintenance schedule for peak performance and safety. 6. Keep generator at least 5 feet away from any structures or combustible materials. Reflective exhaust heat can damage fuel tank causing fire. 7. When using extension cords, be sure they are of the grounded type and are rated for the application. Coiled cords can get HOT, always uncoil cords and lay them in flat open locations. 8. If you are connecting a generator into your home electrical system, have a qualified electrician install a Power Transfer Switch. Never plug your generator directly into your home outlet. 9. Protect your generator from exposure to rain and snow. Generators produce powerful voltage; DO NOT operate under wet conditions. i mukund comes in knowledge for carbon monoxide from above article what is corbon monoxide and what is potential source of carbon monoxide and it’s hazards.